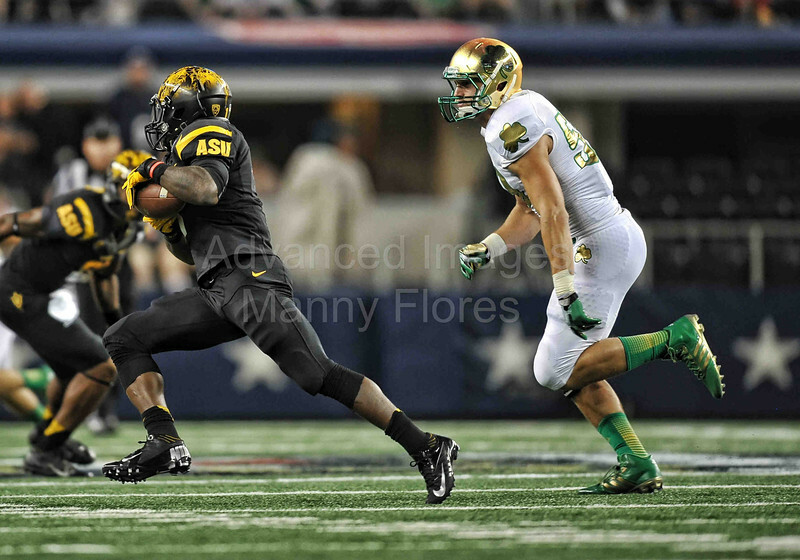 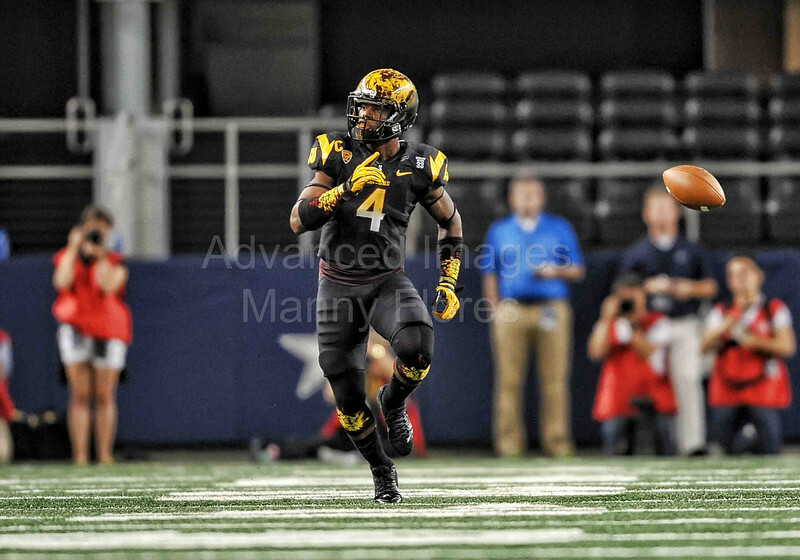 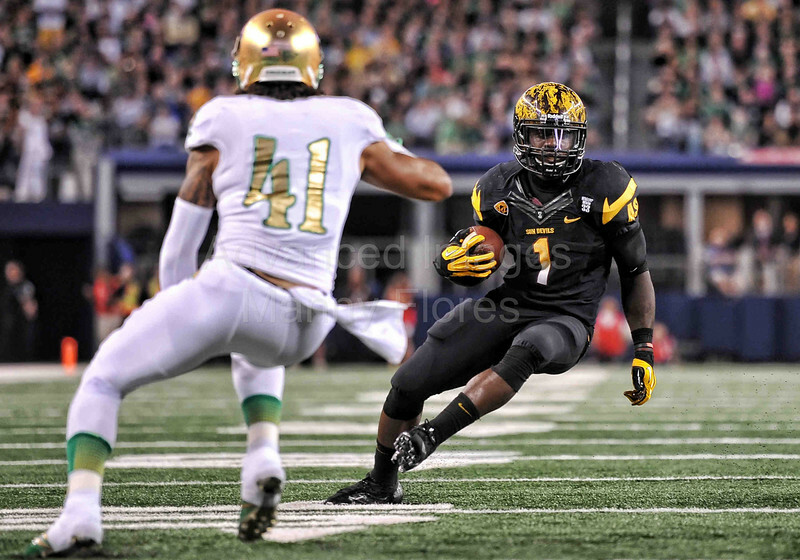 Arizona State Sun Devils running back Marion Grice (1) carries the ball as he is defended by Notre Dame Fighting Irish linebacker Jarrett Grace (59) during an NCAA Football Shamrock Series game between the Notre Dame Fighting Irish and the Arizona State Sun Devils at the AT&T Stadium in Arlington, TX. 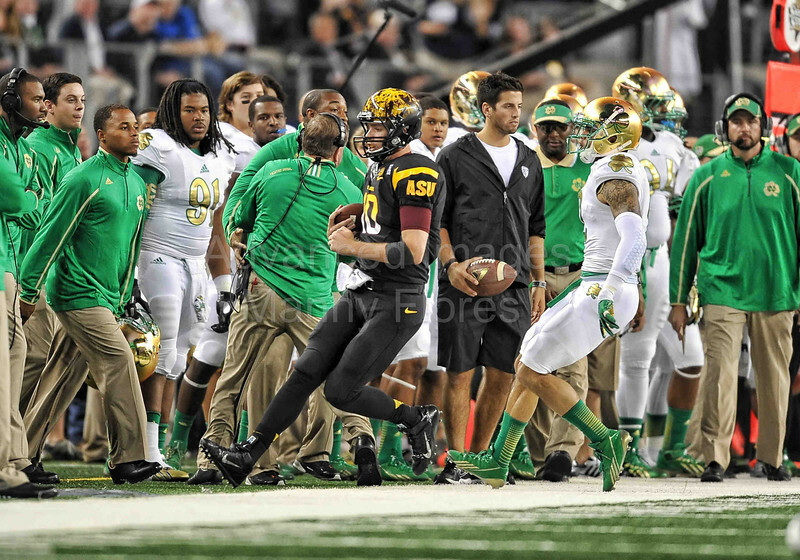 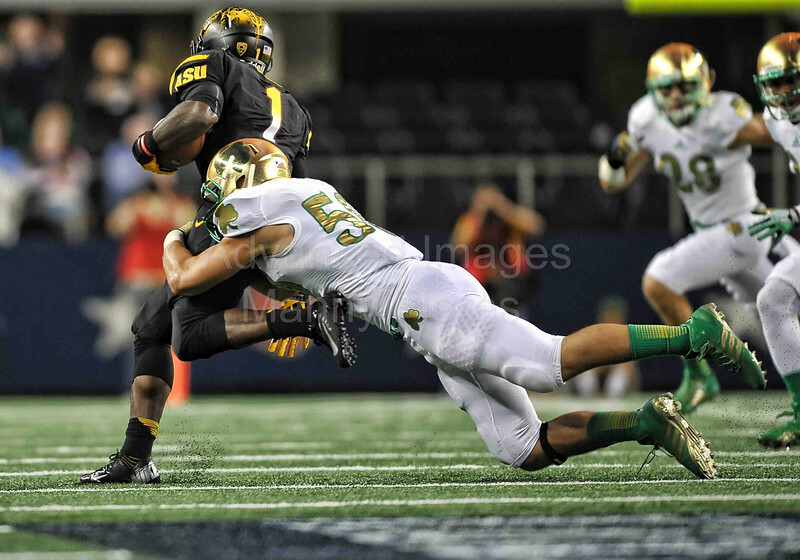 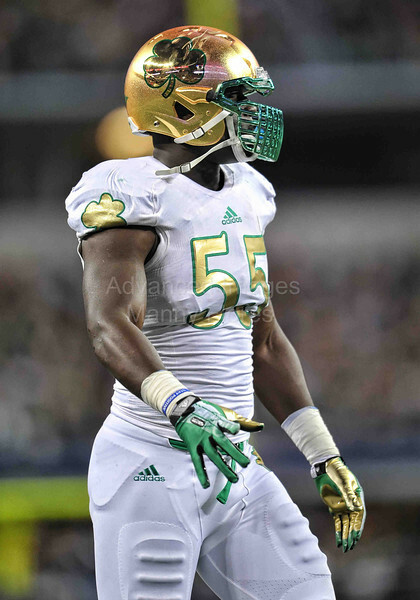 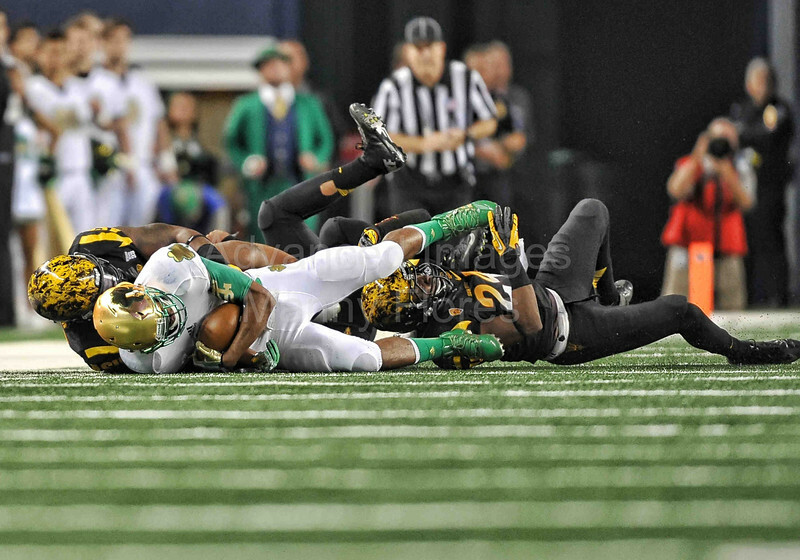 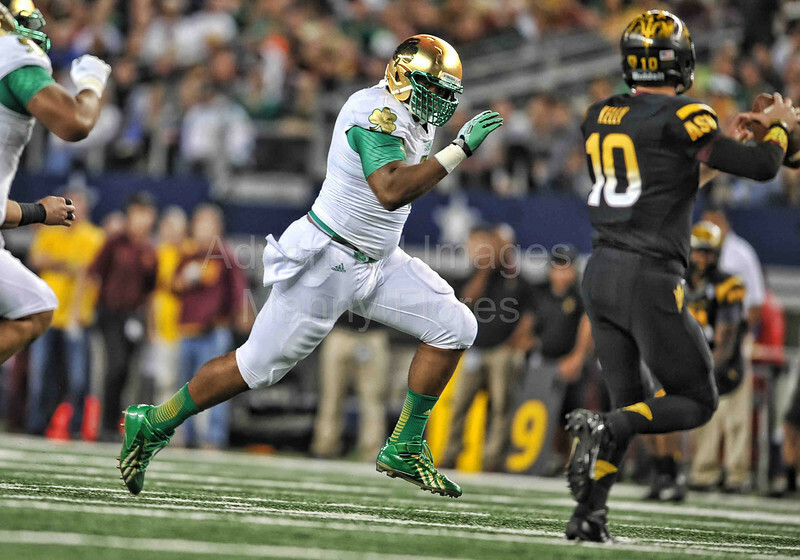 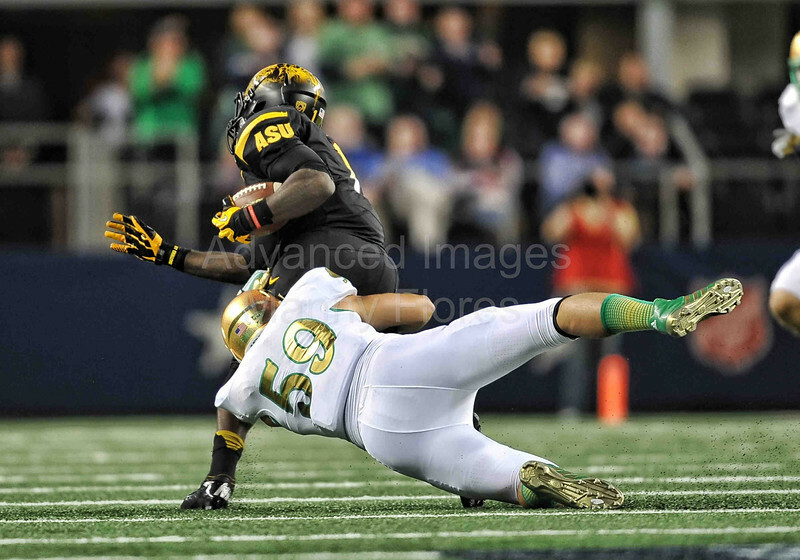 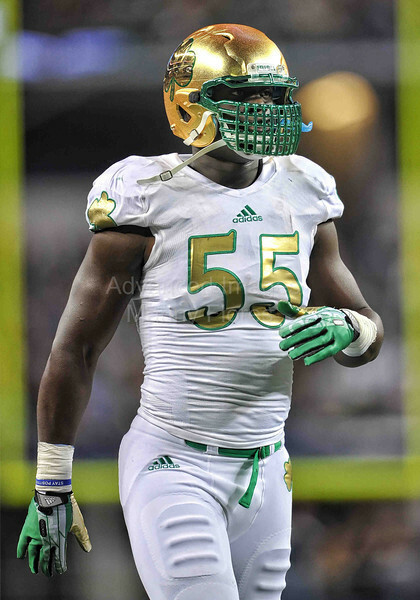 Notre Dame Fighting Irish linebacker Prince Shembo (55) chases after the QB during an NCAA Football Shamrock Series game between the Notre Dame Fighting Irish and the Arizona State Sun Devils at the AT&T Stadium in Arlington, TX. 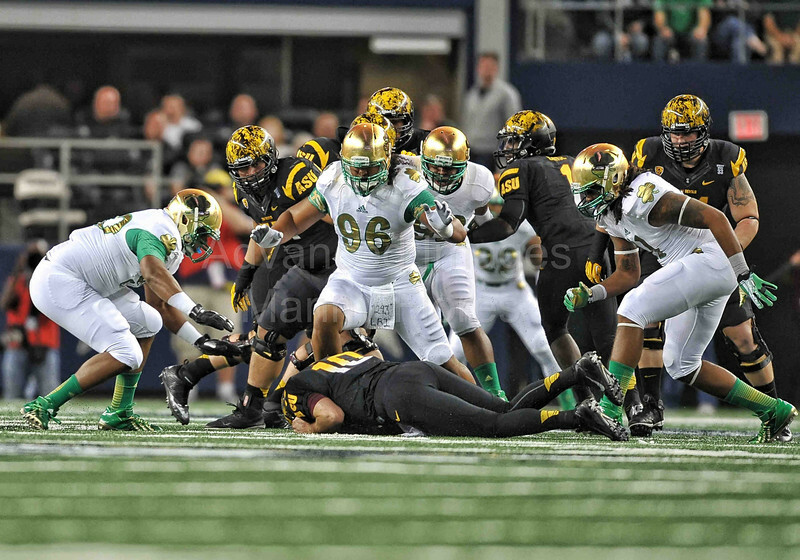 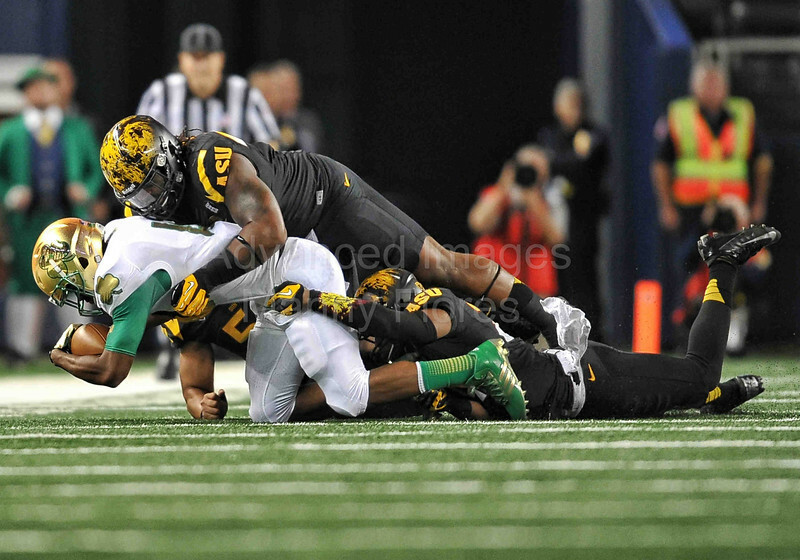 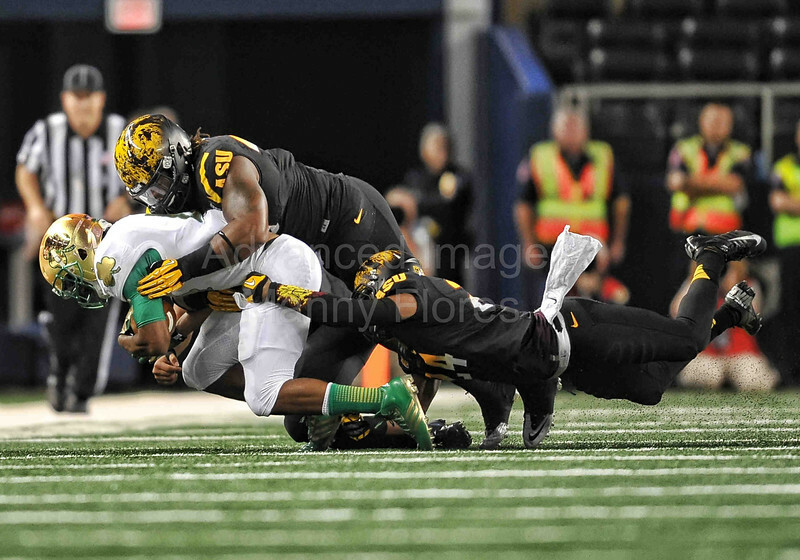 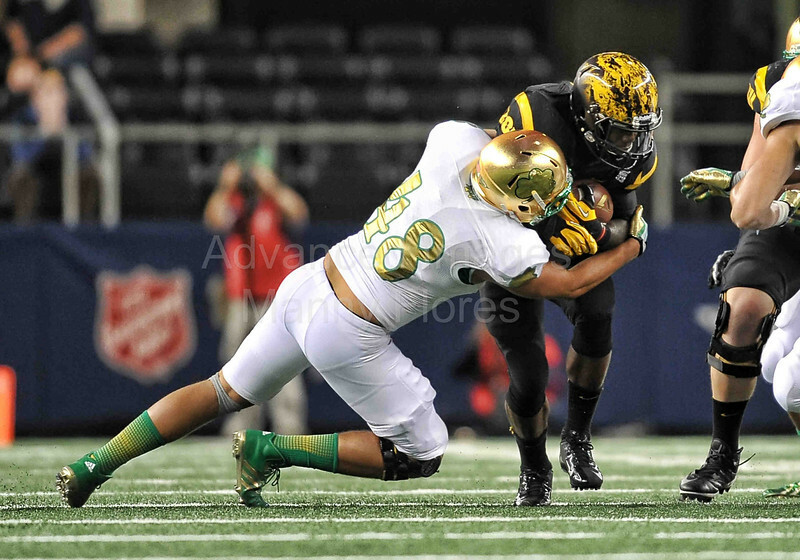 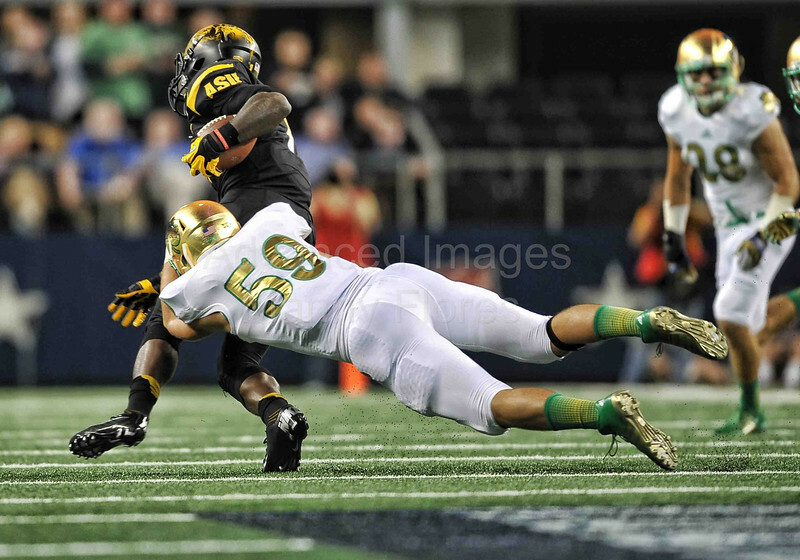 Notre Dame Fighting Irish linebacker Jarrett Grace (59) gets a tackle during an NCAA Football Shamrock Series game between the Notre Dame Fighting Irish and the Arizona State Sun Devils at the AT&T Stadium in Arlington, TX. 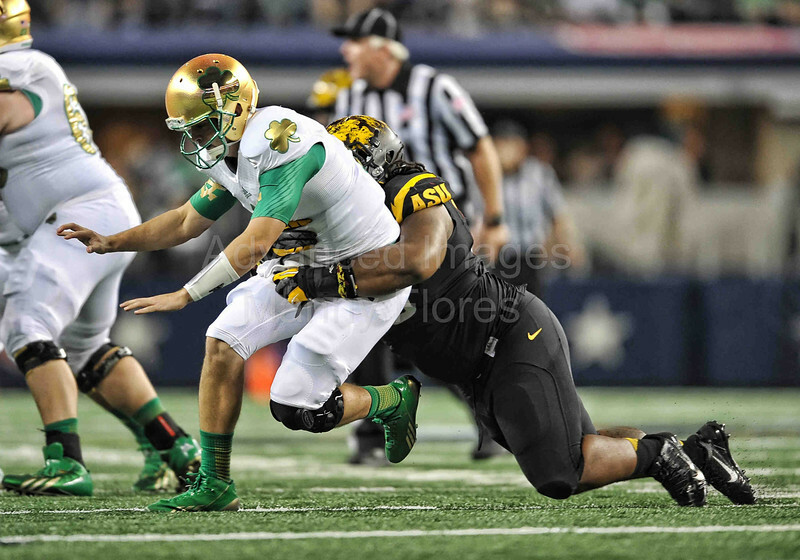 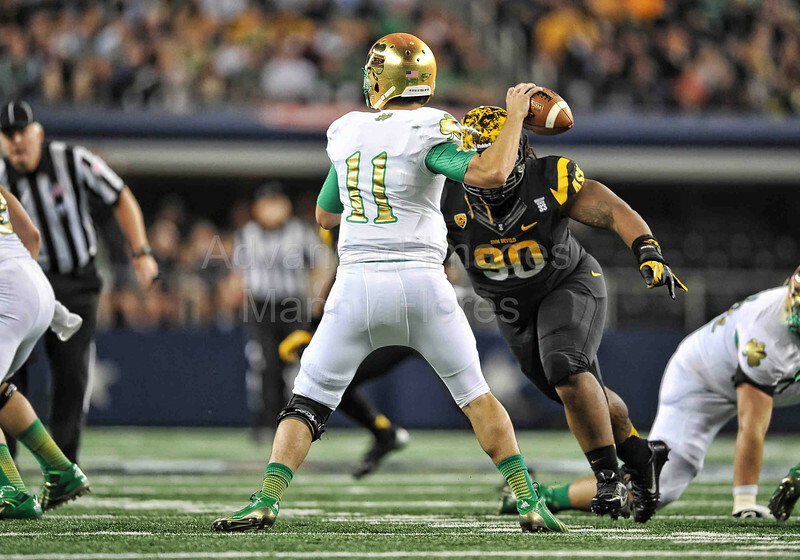 Notre Dame Fighting Irish defensive lineman Kona Schwenke (96) in action during an NCAA Football Shamrock Series game between the Notre Dame Fighting Irish and the Arizona State Sun Devils at the AT&T Stadium in Arlington, TX. 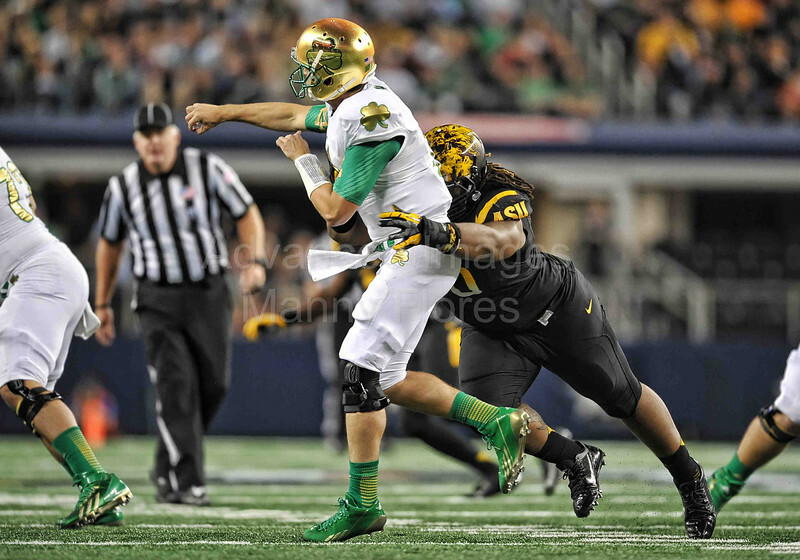 Notre Dame Fighting Irish quarterback Tommy Rees (11) looks downfield as he is rushed by Notre Dame Fighting Irish defensive lineman Isaac Rochell (90) during an NCAA Football Shamrock Series game between the Notre Dame Fighting Irish and the Arizona State Sun Devils at the AT&T Stadium in Arlington, TX. 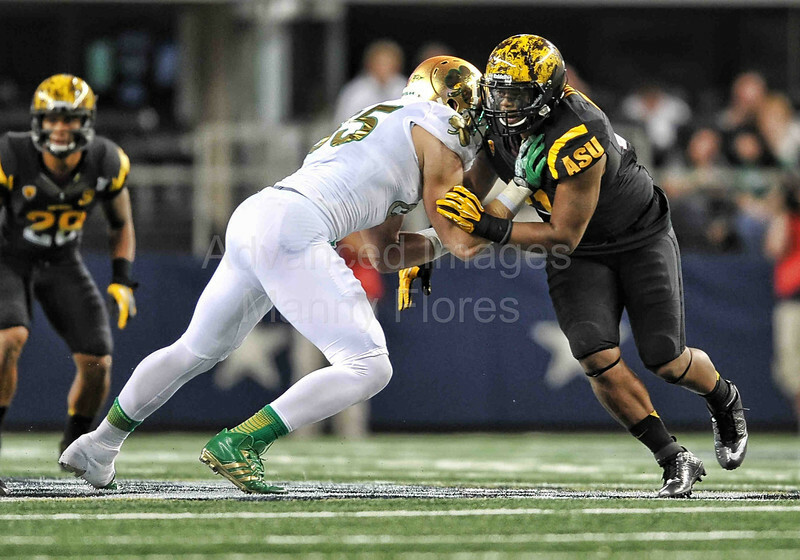 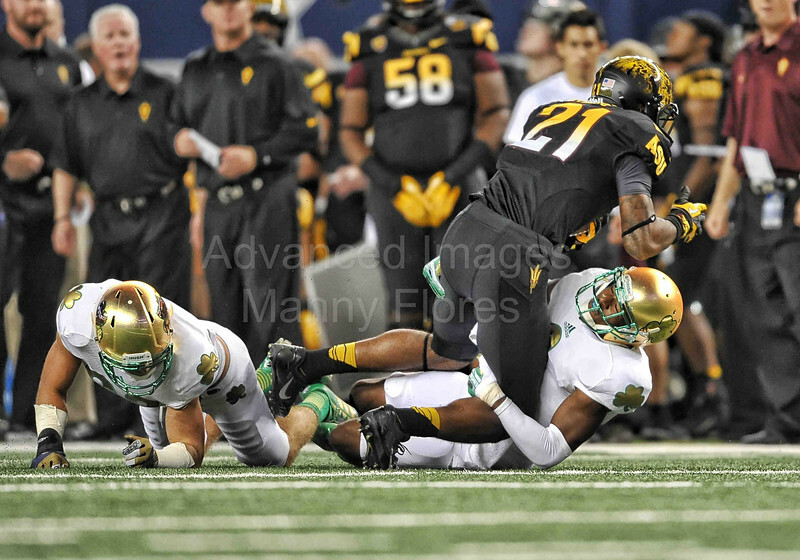 Notre Dame Fighting Irish tight end Troy Niklas (85) tries to block Arizona State Sun Devils linebacker Chris Young (21) during an NCAA Football Shamrock Series game between the Notre Dame Fighting Irish and the Arizona State Sun Devils at the AT&T Stadium in Arlington, TX. 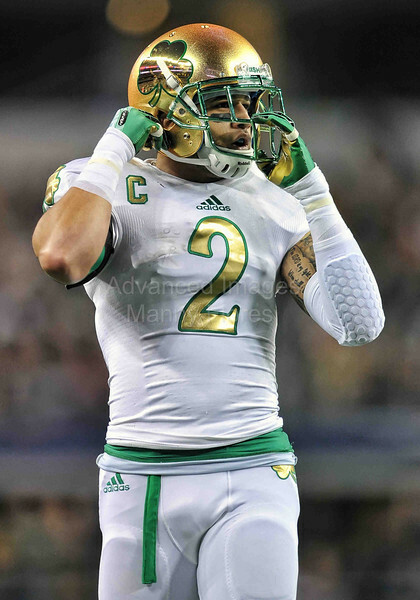 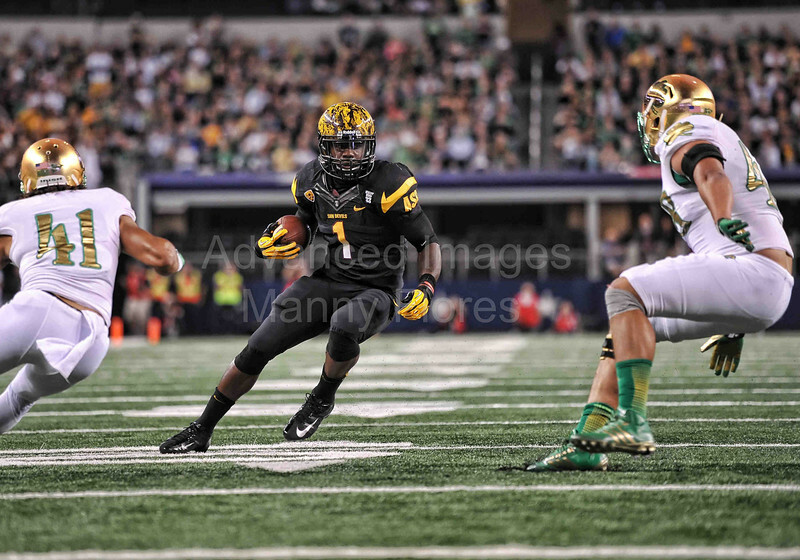 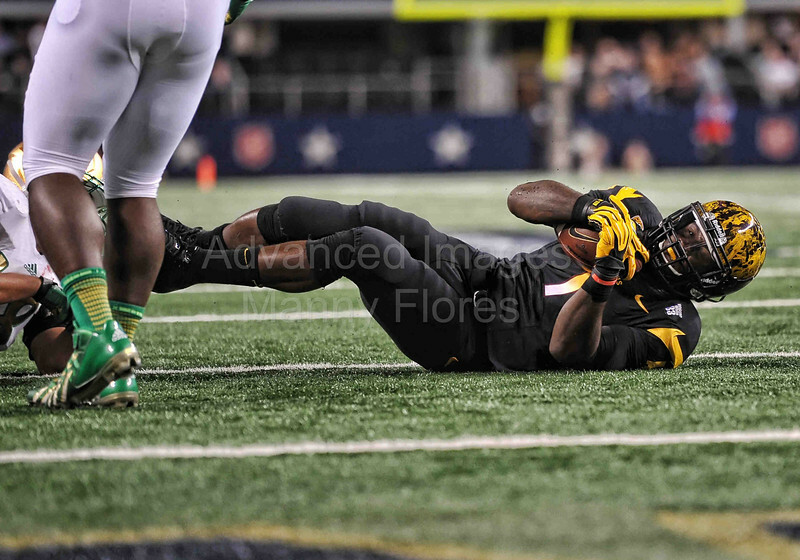 during an NCAA Football Shamrock Series game between the Notre Dame Fighting Irish and the Arizona State Sun Devils at the AT&T Stadium in Arlington, TX. 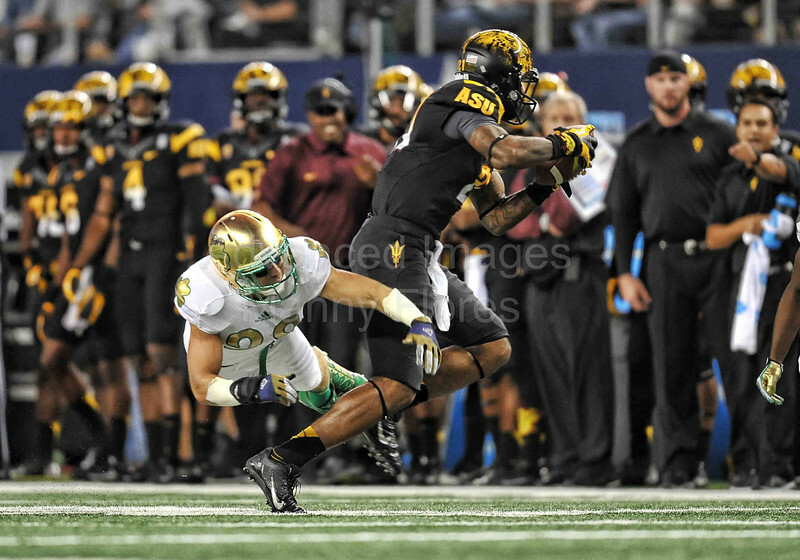 Notre Dame Fighting Irish running back George Atkinson III (4) catches a pass as he is tackled by Arizona State Sun Devils defensive end Davon Coleman (43) and Arizona State Sun Devils cornerback Osahon Irabor (24) during an NCAA Football Shamrock Series game between the Notre Dame Fighting Irish and the Arizona State Sun Devils at the AT&T Stadium in Arlington, TX. 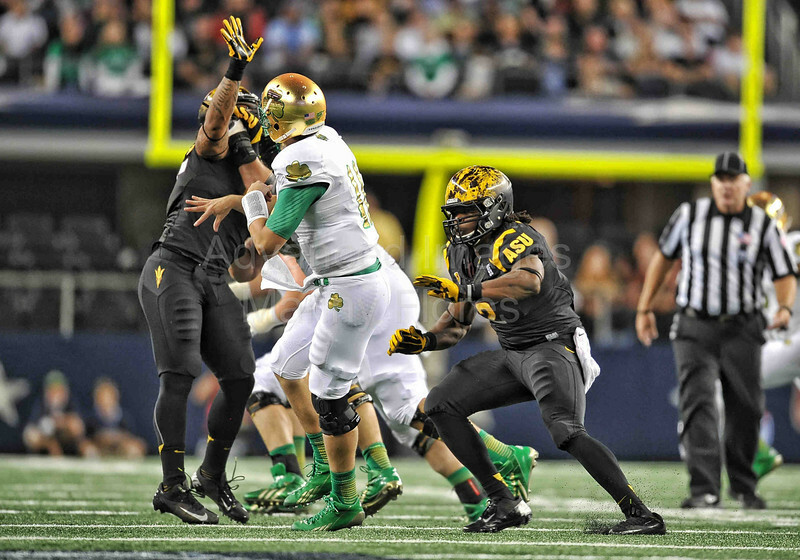 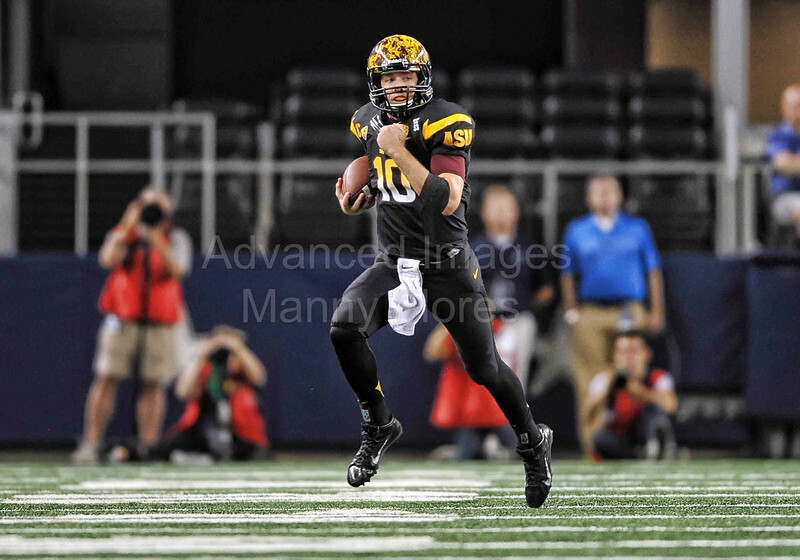 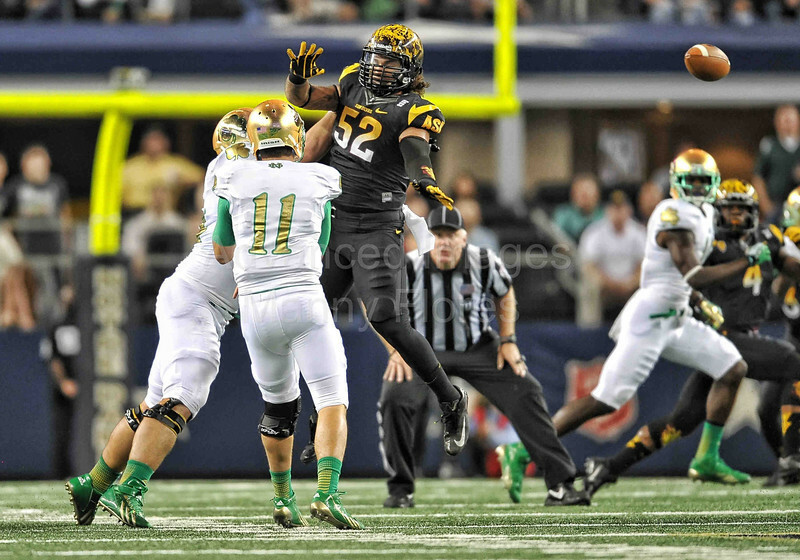 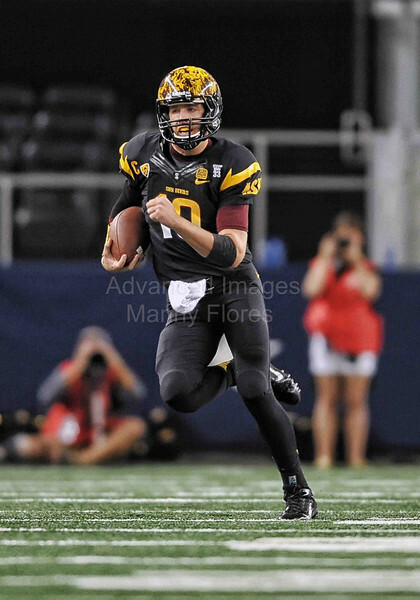 Notre Dame Fighting Irish quarterback Tommy Rees (11) passes the ball as he is defended by Arizona State Sun Devils defensive end Junior Onyeali (5) during an NCAA Football Shamrock Series game between the Notre Dame Fighting Irish and the Arizona State Sun Devils at the AT&T Stadium in Arlington, TX. 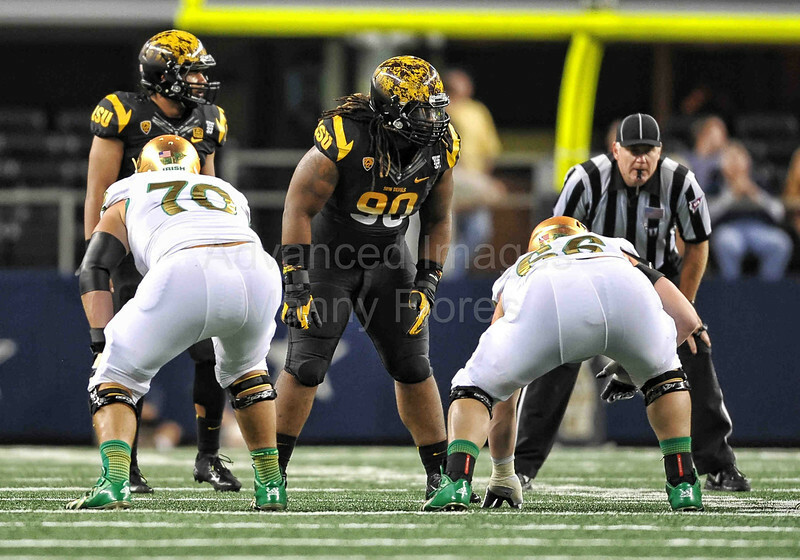 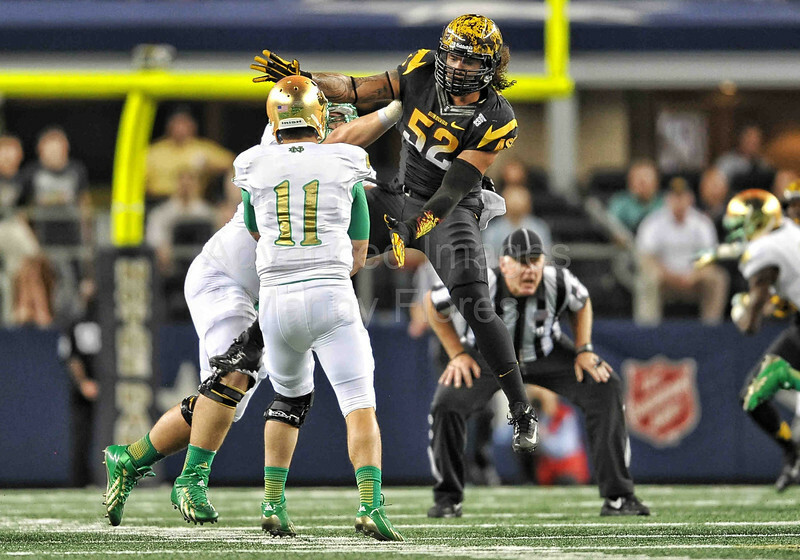 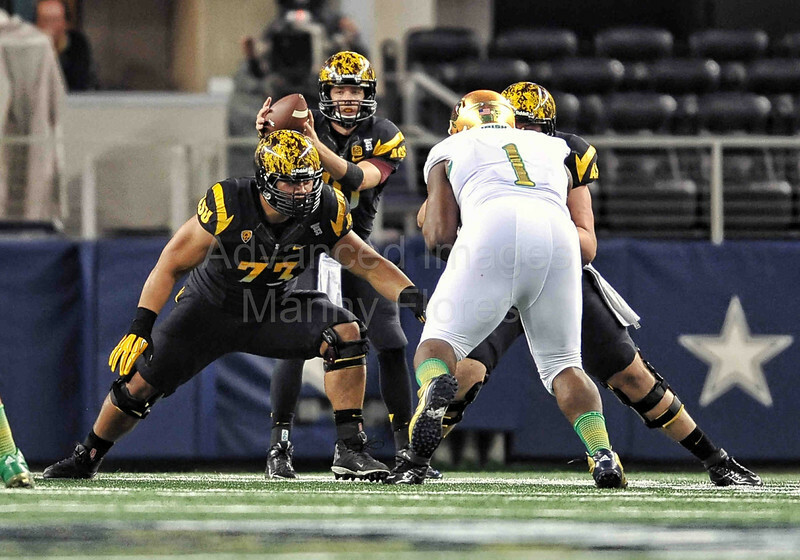 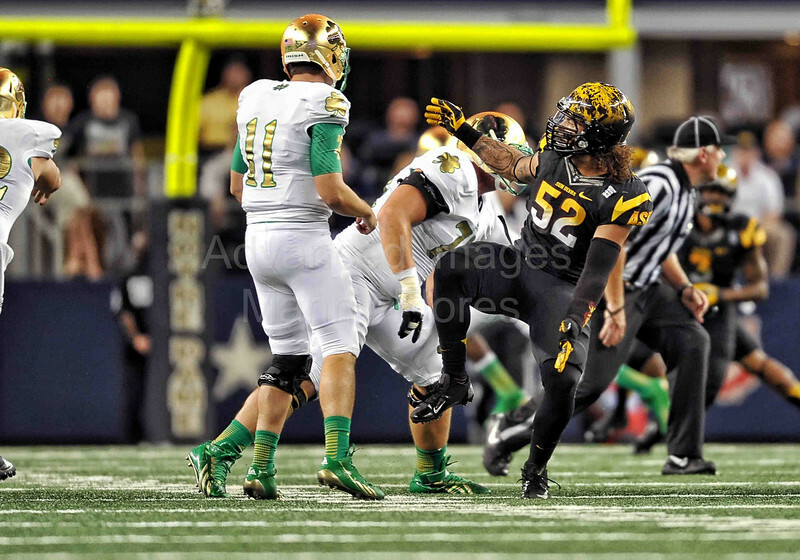 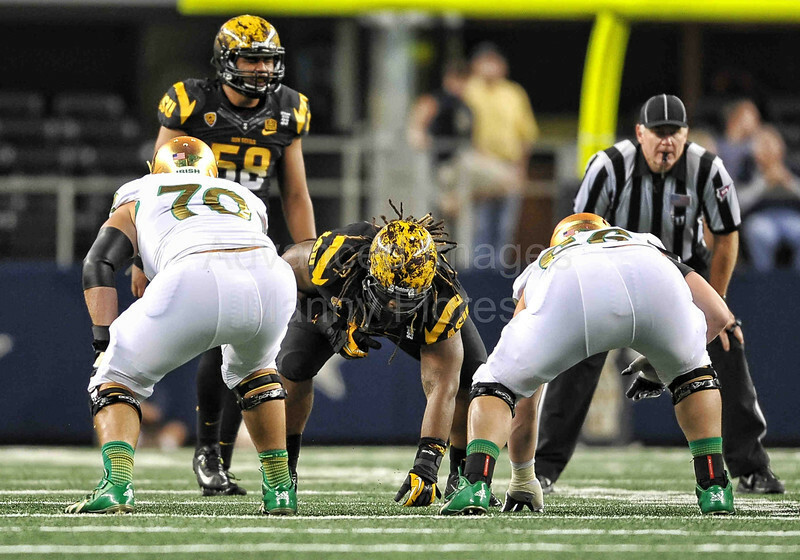 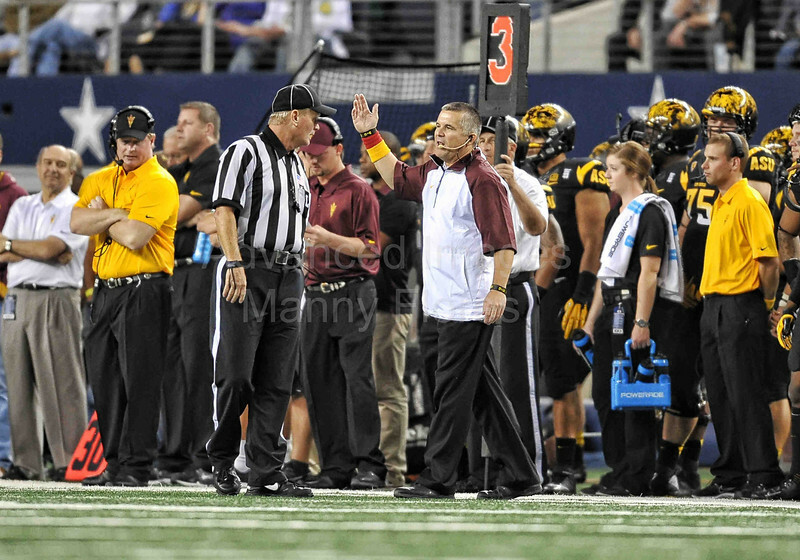 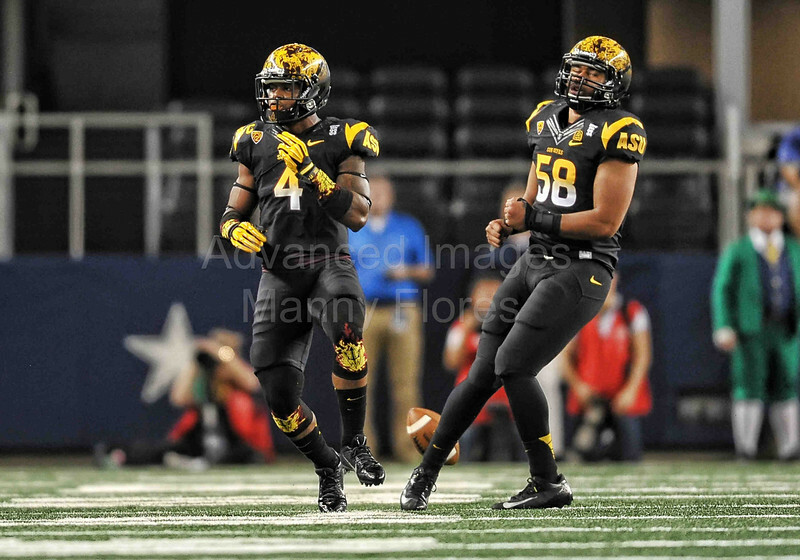 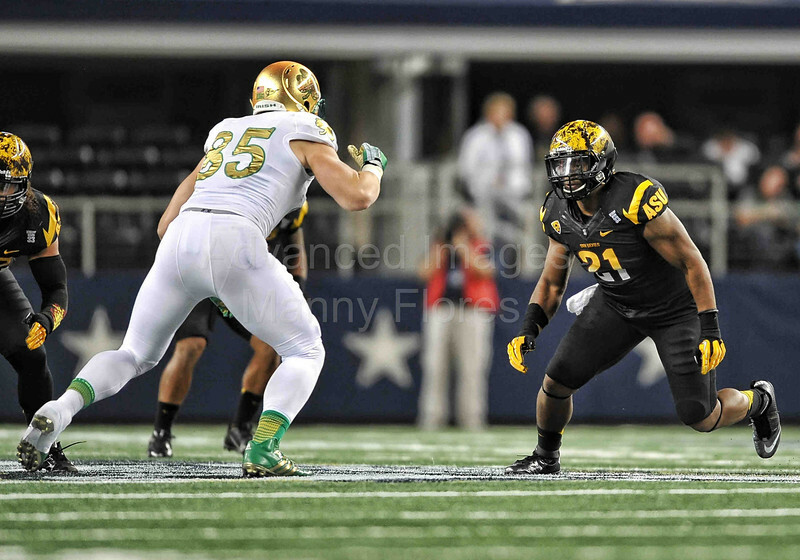 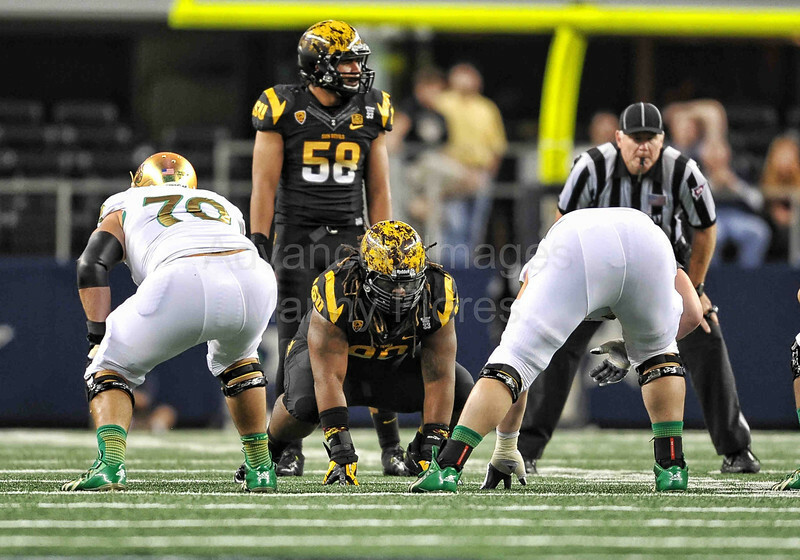 Arizona State Sun Devils offensive linesman Vi Teofilo (73) in action as Arizona State Sun Devils quarterback Taylor Kelly (10) takes the snap during an NCAA Football Shamrock Series game between the Notre Dame Fighting Irish and the Arizona State Sun Devils at the AT&T Stadium in Arlington, TX. 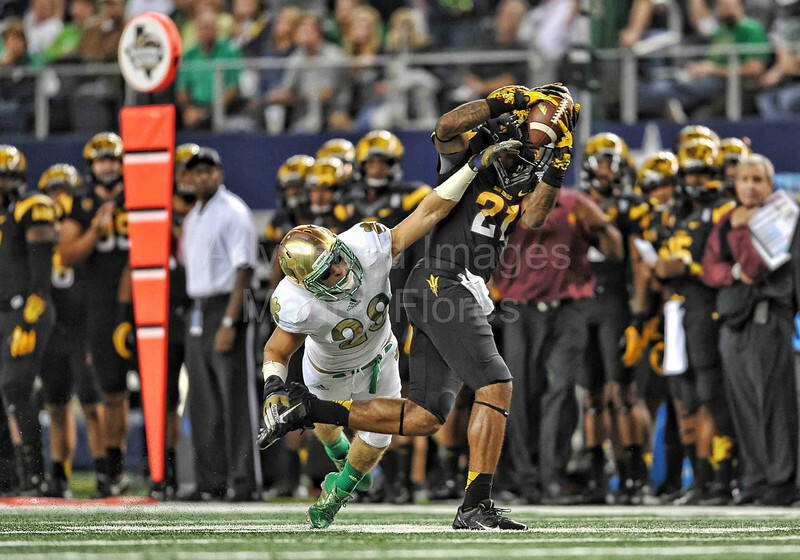 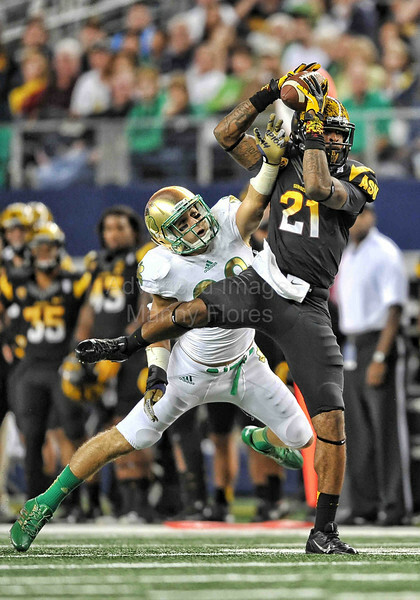 Arizona State Sun Devils wide receiver Jaelen Strong (21) makes a great catch as he is defended by Notre Dame Fighting Irish safety Austin Collinsworth (28) during an NCAA Football Shamrock Series game between the Notre Dame Fighting Irish and the Arizona State Sun Devils at the AT&T Stadium in Arlington, TX. 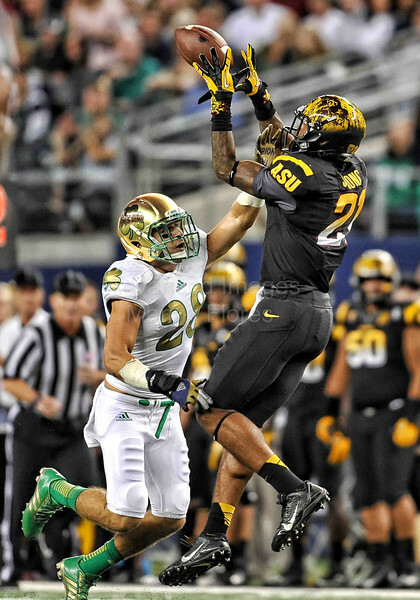 Arizona State Sun Devils wide receiver Jaelen Strong (21) makes a great catch as he is defended by Notre Dame Fighting Irish safety Austin Collinsworth (28) as Notre Dame Fighting Irish cornerback KeiVarae Russell (6) makes the tackle during an NCAA Football Shamrock Series game between the Notre Dame Fighting Irish and the Arizona State Sun Devils at the AT&T Stadium in Arlington, TX. 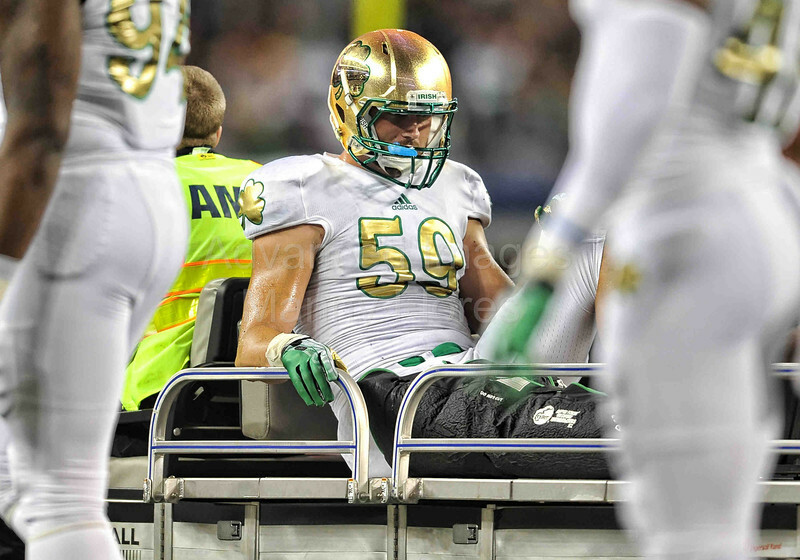 Notre Dame Fighting Irish linebacker Jarrett Grace (59) breaks his right leg during an NCAA Football Shamrock Series game between the Notre Dame Fighting Irish and the Arizona State Sun Devils at the AT&T Stadium in Arlington, TX. 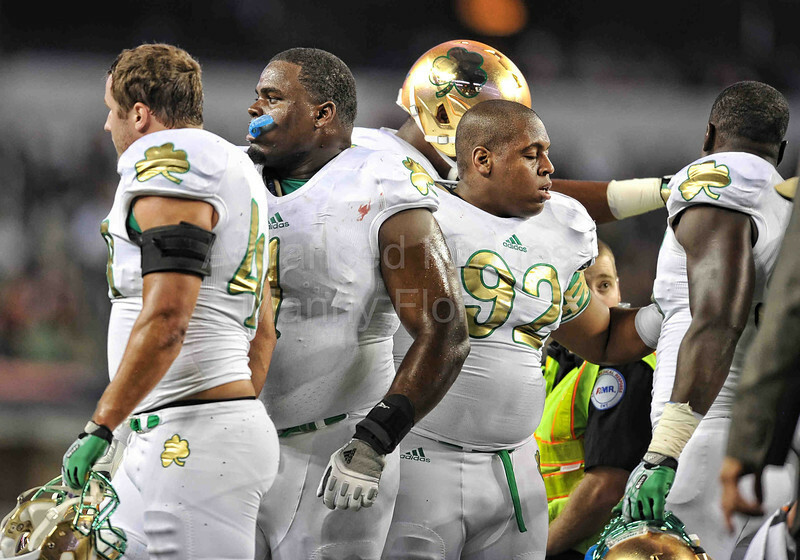 Notre Dame Fighting Irish defensive lineman Tyler Stockton (92) and Notre Dame Fighting Irish defensive lineman Louis Nix III (1) look on as teammate Notre Dame Fighting Irish linebacker Jarrett Grace (59) is carted off the field with a broken leg during an NCAA Football Shamrock Series game between the Notre Dame Fighting Irish and the Arizona State Sun Devils at the AT&T Stadium in Arlington, TX. 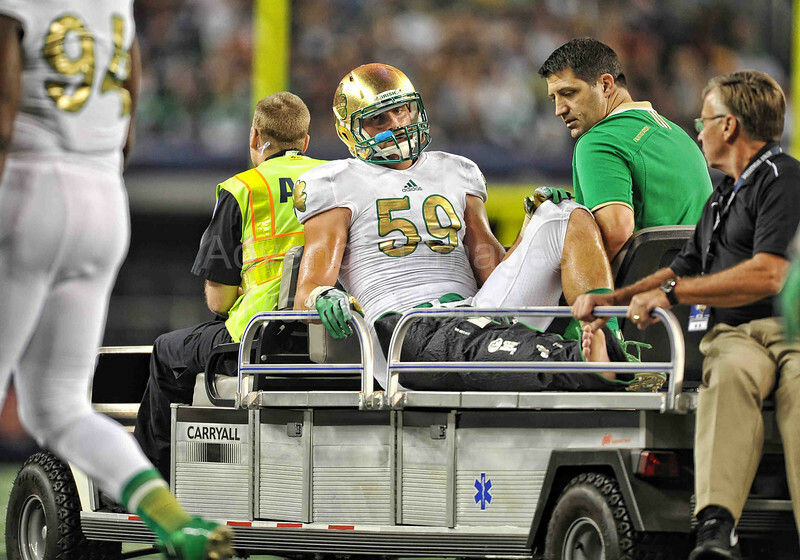 Notre Dame Fighting Irish linebacker Jarrett Grace (59) breaks his right leg while Notre Dame Fighting Irish head coach Brian Kelly looks on during an NCAA Football Shamrock Series game between the Notre Dame Fighting Irish and the Arizona State Sun Devils at the AT&T Stadium in Arlington, TX. 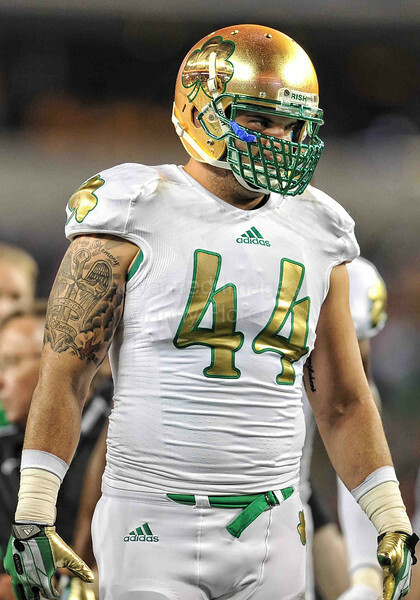 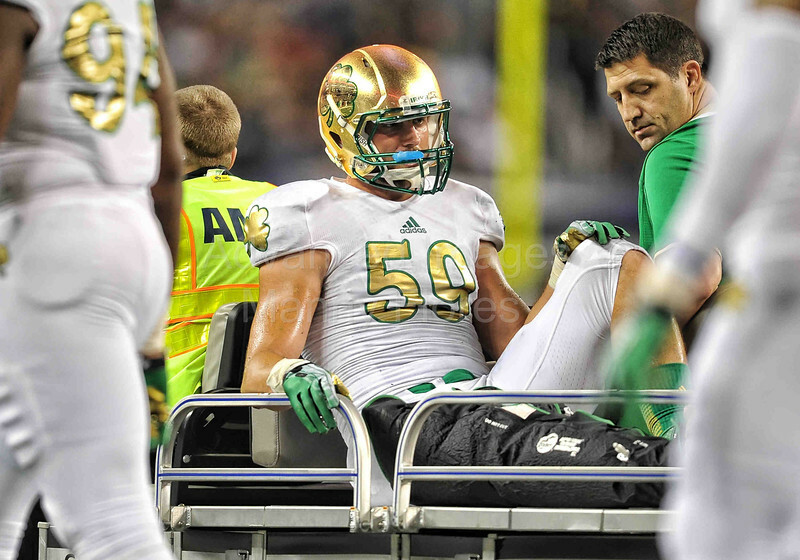 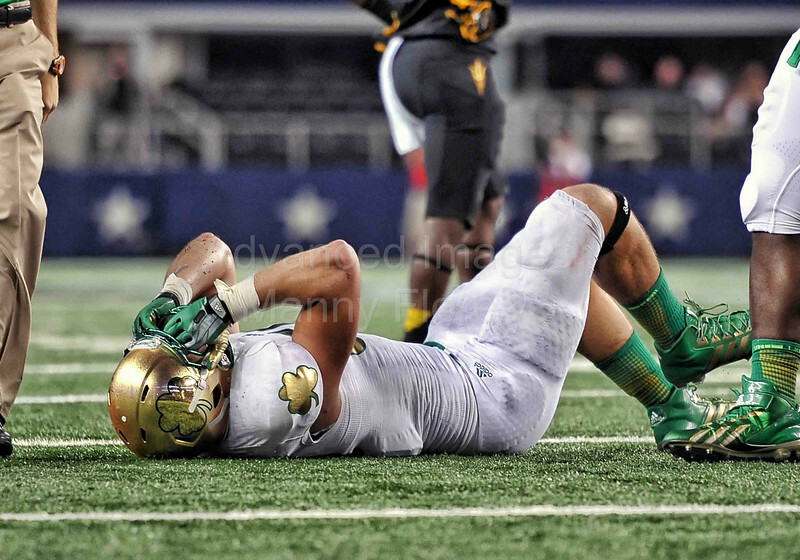 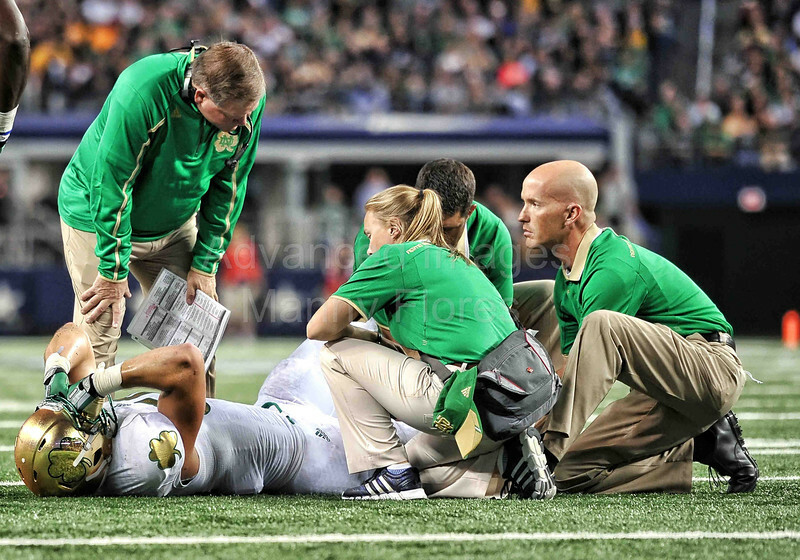 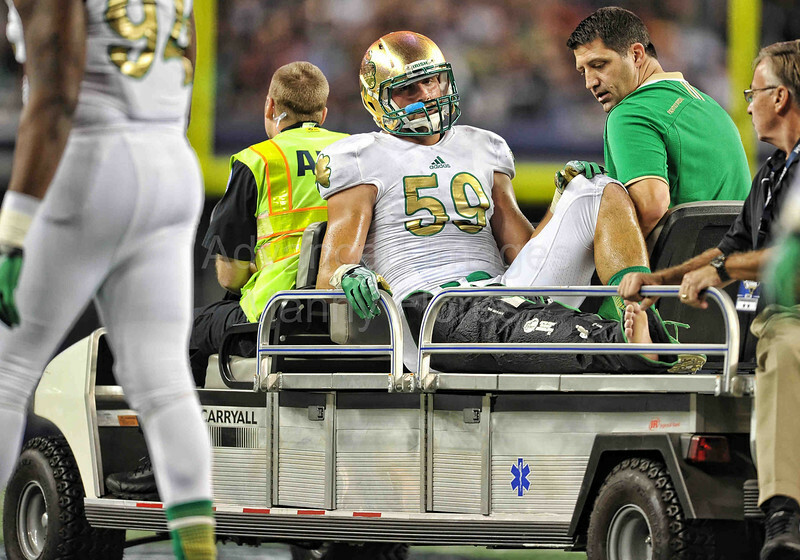 Notre Dame Fighting Irish linebacker Jarrett Grace (59) carted off the field with a broken right leg during an NCAA Football Shamrock Series game between the Notre Dame Fighting Irish and the Arizona State Sun Devils at the AT&T Stadium in Arlington, TX.